This is the Western Robotics Titan Dual Step-Down Voltage Regulator. The Titan Dual Step Down Voltage Regulator provides regulated voltage protection for up to two servo functions with two input ports and two output ports. The Titan eliminates the danger of higher voltage power systems to standard voltage servos by being placed in between the receiver and the servo requiring a 5.2 volts regulation. 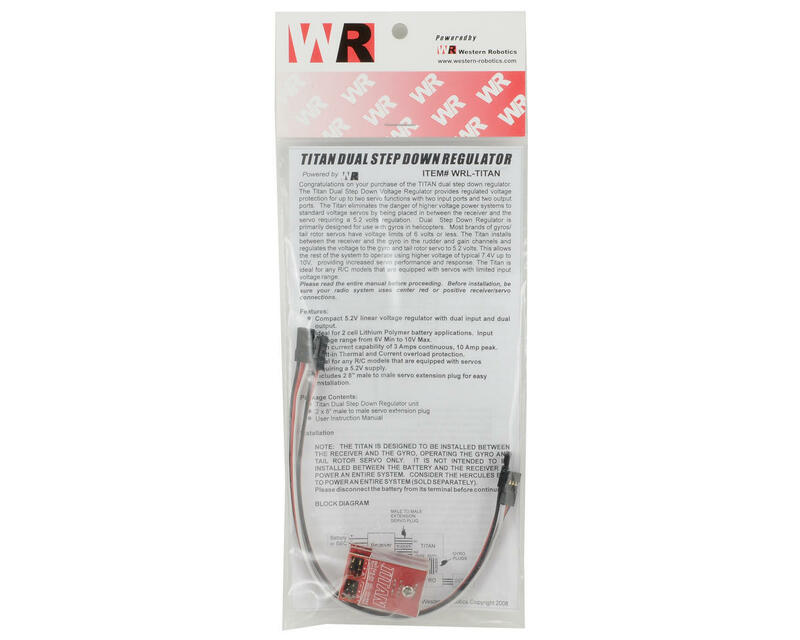 The Dual Step Down Regulator is primarily designed for use with gyros in helicopters. Most brands of gyros/ tail rotor servos have voltage limits of 6 volts or less. The Titan installs between the receiver and the gyro in the rudder and gain channels and regulates the voltage to the gyro and tail rotor servo to 5.2 volts. This allows the rest of the system to operate using higher voltage of typical 7.4V up to 10V, providing increased servo performance and response. The Titan is ideal for any R/C models that are equipped with servos with limited input voltage range. Compact 5.2V linear voltage regulator with dual input and dual output. Ideal for 2 cell Lithium Polymer battery applications. Input voltage range from 6V Min to 10V Max. High current capability of 3 Amps continuous, 10 Amp peak. 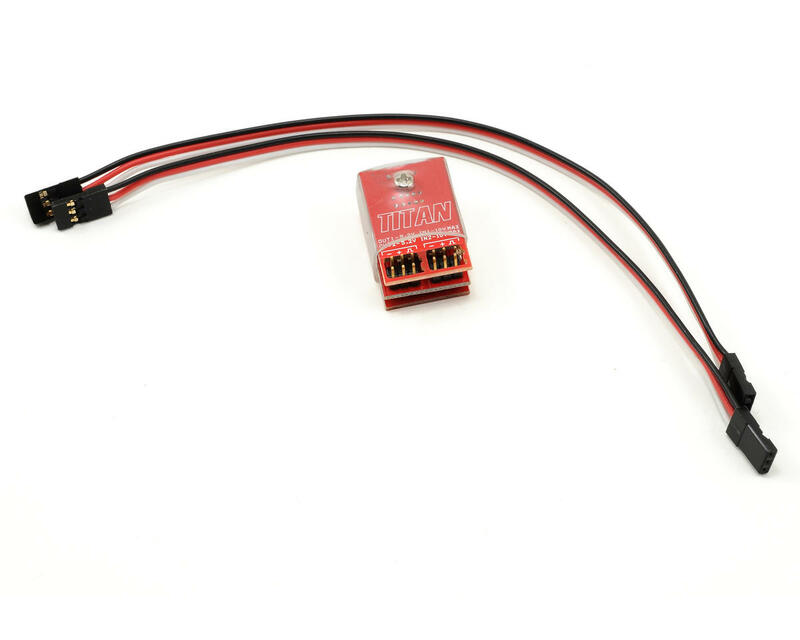 Ideal for any R/C models that are equipped with servos requiring a 5.2V supply. Includes 2 8” male to male servo extension plug for easy installation.